We manufacture wide range of c-hook which is hugely admired in domestic as well as international market and are the perfect match for industries applications. 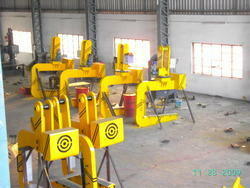 These c hooks are manufactured using high tensile steel that can be fitted in any type of crane. Our range is modern by looks & is light in weight and an extremely reliable method for securing all types of loads. 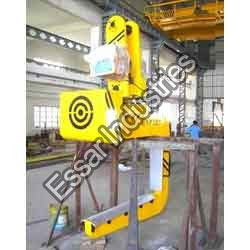 These hooks can be customized as per the specifications mentioned by our customers. We offer our range of hooks at competitive prices. We are known manufacturers and suppliers of Industrial C Hooks which are known for high durability and excellent finishing aspects. These hooks are designed and fabricated with the use of finest quality steel and modern-age technology thus, making accurate in dimensions and superior in finishing. 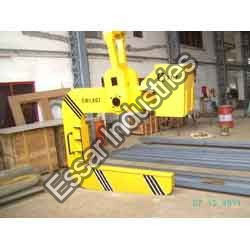 Furthermore, with the aim of serving vast clientele base, we provide these hooks to customers at equitable price tags. 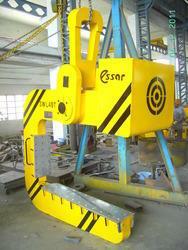 C-Hook used to handling Coils in steel plants. 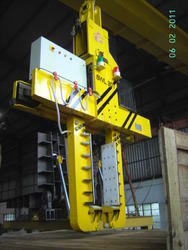 Industrial C-Hooks used in steel plants. We have attained wide recognizance in the market for manufacturing and supplying superior quality C- Hooks. Our offered hooks are much accepted in the market for excellent durability and high load carrying capacity traits which make them suitable for use in heavy engineering units. Designed and fabricated with the use of superior-grade steel and modern-age technology, these hooks are sturdy and corrosion-resistant. In addition to this, we make the supply of these hooks in durable packaging at nominal price tags. With full leverage on our expertise, we have been manufacturing and trading superior quality Balanced C-Hooks. These hooks are known for sturdiness and precise design traits owing to their fabrication being done as per current industrial requirements. Moreover, available with us in varied stipulations, these hooks are manufactured with the use of high-grade material and advanced technology. Known for high tensile strength, we supply these hooks to customers at nominal price tags. Balanced for C.G. in crane hook line. Optional wear pads in Aluminum/HDPE/Nylon. 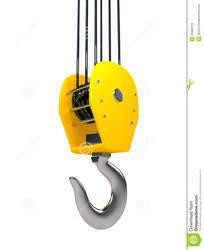 For these Rotating C-Hooks, the bail of the crane hook is rotatable at 360 degree with a electro mechanical rotating mechanism; which enables the positioning of coils in any required direction precisely liner pad - in aluminum /hdpe/ nylon/polyurethane. 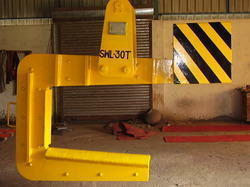 Optional parking stands also available as per customer requirement to stock the 'c' hooks. Looking for C - Hooks ?